I have a rule that I decided for myself when drawing the Sailor Uniform: even though it would be quite natural to see some cleavage due to how low the collar on the uniform cuts, I absolutely never draw it. 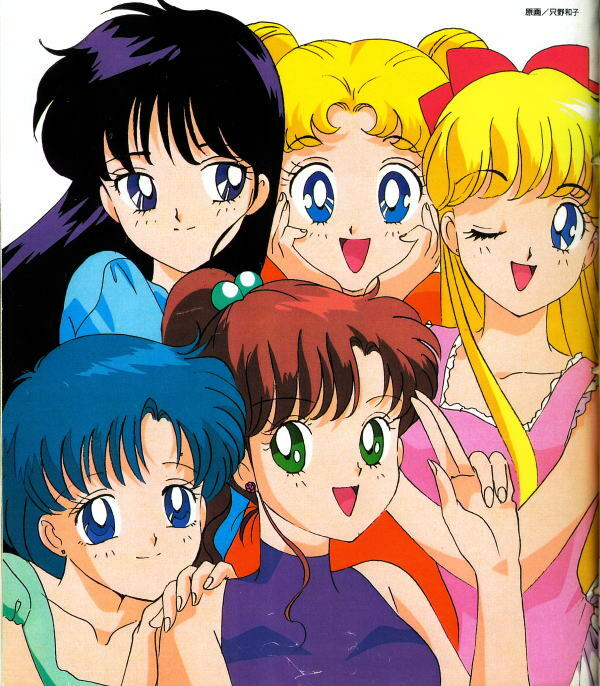 To be more specific, today we’re looking at an interview titled 「只野美少女のヒミツ」 (Tadano’s Secret to Pretty Girls) found in the September 1993 issue of the Japanese anime magazine Animage.2 The interview features a back and forth between Sailor Moon character designer Kazuko Tadano and the magazine as they discuss her thoughts on bringing our favorite characters to life. We’ve got a lot to get through, so let’s get started! Animage: Right, it seemed like it could turn into a pretty shady article, so I went with the title on the right-hand page. However, for the topic of this article, I would like to discuss the allure of the women you draw, and your thoughts on art. Read also: Did the Sailor Team Go To Disneyland? Kazuko: I’m sure most female artists are the same, but I actually liked drawing men before I became an animator. I liked drawing their body forms, the muscles in their arms, and things like that, and I wasn’t really interested in drawing women. After becoming an animator I started to enjoy drawing women and, particularly once I started working on Sailor Moon, I’ve been putting more effort into drawing women than men. Animage: You liked drawing muscles? That’s surprising. Kazuko: When I joined Live,4 I was doing dramatic line work, almost like a man would. So much so that even people at Live would look at my art and thought that a man drew it. (laugh) Even when doing the initial pencils, I would draw with really dark lead, like 4B or even 6B. Animage: That’s hard to believe from your current work. Your art has a lot of clean line work now. Kazuko: That’s right, my habits have changed over the past few years. Animage: Could you tell me about your policy when drawing female characters? Kazuko: Well, generally speaking, I think that men tend to be better at drawing women. However, when the artist is a man, they tend to fixate too much on the woman’s body. (laugh) By focusing too much on that, the work can end up looking unappealing. There are those who draw the chests far bigger than they need to in the initial pencils, and I don’t really like that style. Animage: Right, right. You don’t want to lay it on too thick. Kazuko: So what about when women draw female characters? Well, when they do it, the female characters tend to lack any sensuality. If you look at comics for the older female market, many of the characters really aren’t that attractive. I wind up thinking, if only they were drawn with a little more charm. Animage: After all, if you’re going to draw women, you should make them appealing. Kazuko: Right. I mean, I think that even I should draw the characters with a little more sensuality, but since men are just overall better at understanding how that woman would be perceived, at getting a feeling for the sexuality, and things like that, I often feel like I can’t compete on that front. Animage: Your art is sensual enough as it is. The laserdisc jacket covers in particular are rather provocative. Animage: They have a certain plumpness to them. Kazuko: True. Ami in particular gives the impression of being pale, and a little chubby. Animage: Like there would be a little plumpness to her. Kazuko: Exactly, I draw her as if she were pudgy. Animage: Whoa! Seems like the conversation’s taken a strange turn. (laugh) I wonder if I can really get away with putting an article about Ami’s chubbiness into Animage…! Kazuko: (laugh) Though there are parts to drawing women where I can’t compete with men, well, in that case I think that I should draw female characters in a way that only a woman could. I’m going to keep working hard to draw even better, and to draw even more appealing female characters. So that article took a pretty unexpected turn with that Ami conversation. Considering her massive popularity at the time, I understand how she came up in the conversation, but… you know, I’ve never once considered her to be “chubby,” especially when Usagi is always the one Luna and the others make fun of. 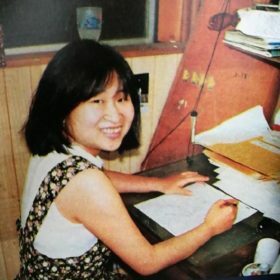 Of course, this interview was conducted 25 years ago, so who knows where Ms. Tadano stands on her view of drawing the Sailor Soldiers now, but I’m definitely excited to see where she plans to take the series, especially considering that there have already been three other seasons to establish precedent. 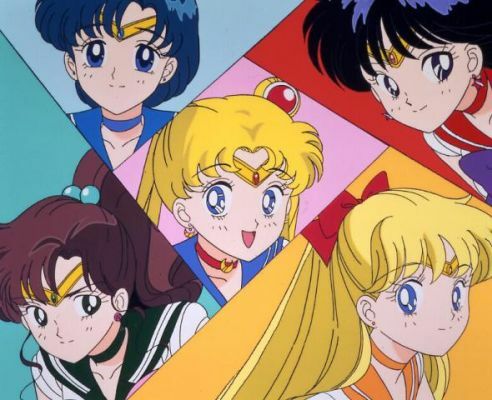 What do you think about the news of her taking the reigns again for the new Sailor Moon Crystal movie? Excited, hesitant, a little from column A and B? No matter what happens, it’s at least good to know we’re on the road to the movie getting made! ← Does Every Object in Space Have a Sailor Senshi? So excited I’ll bet it would look great I love the 90’s sailor moon artwork much more compared to Crystal. Although Crystal is good the original just seems more natural with the various body shapes and heights of the characters. I’m studying studio art and art history at University and understand that drawing certain figures is quite difficult. Like the athleticism and height of Sailor Jupiter, her body is not too muscular but more of a build of a person who plays sports. Posted 2018-07-04 at 8:04 am by A.J. Maybe that article was just a sign of the times back then, but still… the fact that they both just jumped right on the sexual aspect of the character designs is annoying. The appeal of the show (for me anyway) is the colorfullness of it. The transformations and magic powers are *pretty* to look at (I guess you could describe it that way). I absolutely agree with you. To be fair, though, I’d be willing to give Ms. Tadano the benefit of the doubt and say that the conversation was steered in this direction due to the nature of the magazine. This was in Animage, after all, which tends to skew toward an older, male audience — not exactly the normal Sailor Moon fan base. Source: I’m married to an artist. Ami chubby? Somehow I wonder if that’s a mistranslation or some kind of saying that isn’t mean to be taken literally. Maybe it’s something about how her short hair and round face appear in comparison to the others who have long hair? I’ll get a scan up shortly. I’m not a native English speaker, but reading this I thought they were discussing laser disc cover in pariticular – that in that one drawing they think Ami looks a bit chubby. That’s an interesting question. I don’t really have any information on it, by my assumption was always that she kind wanted to try her hand at something new. Seeing as they kept most of the rest of the creative staff, I find it hard to believe that they would have just pushed her out in favor of new talent. This was an interesting article to read, though I oddly didn’t think of Ami as being chubby, more Usagi (Ami doesn’t look like that). 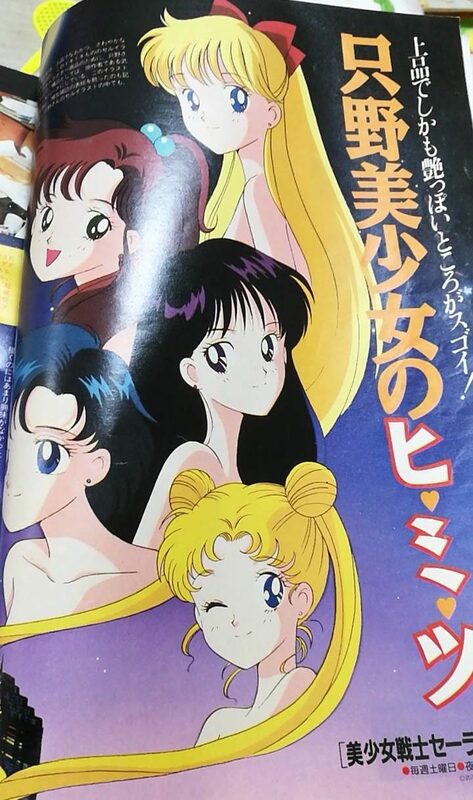 I too, am not sure why they talked about the sensual/sexuality parts of the Sailors (then again, like you mentioned, Animage was more for older, male readers), but I say she does a wonderful job drawing people in general, she gets their body proportions correct, makes expressions very believable and her animation is very fluid. 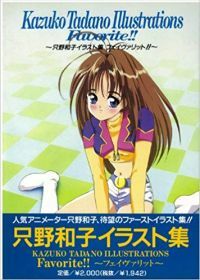 Finding out she’s returning for the upcoming two Crystal films is making me excited, she was my favorite animator of the original anime next to Ikuko Itoh. That whole Ami = chubby thing came totally out of left-field for me. I honestly have no idea where that came from, but I checked with two Japanese speakers to confirm, and it’s pretty clear that this is what the interviewer and Ms. Tadano meant. “Chubby”? She makes it sound like that’s a bad thing. While I don’t agree with everything said regarding the characters…I find it both slightly uncomfortable but also oddly refreshing reading how open people spoke back in the 90’s before everyone became so afraid to. And I’m pretty excited to see how she handles the movies. I was not a fan of Crystal’s first style and the second, while better, was still off in some ways. Maybe a blend of the original and season 3 of Crystal will come out good.